GEORGE TOWN: The state government has introduced four main measures in its bid to stimulate the slowing property market in the state to solve unsold units issue. 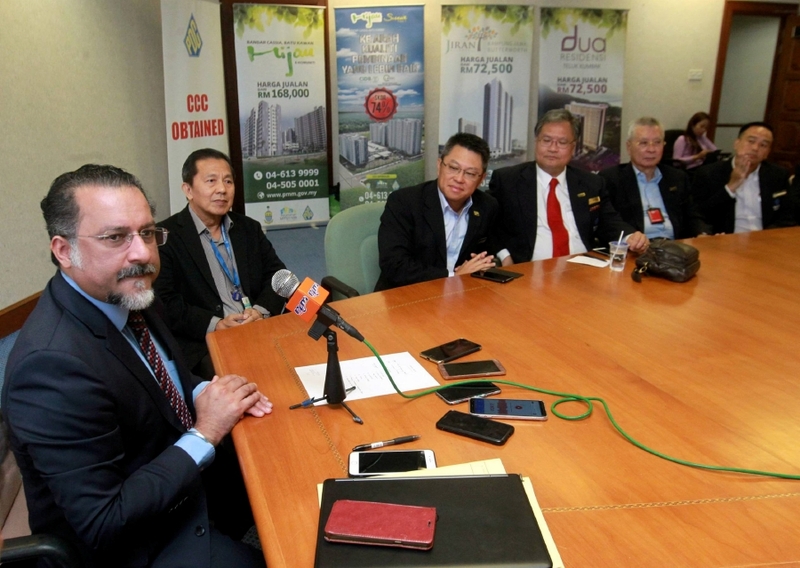 State Local Government, Housing, Town and Country Planning Committee chairman Jagdeep Singh Deo said that despite the fact that the unsold units issue in Penang is manageable compared to other states, he said that the issue still persists and steps need to be taken to address it. “Previously for the 100 per cent affordable housing projects, we allow 30 per cent of the units to be sold at open market. Now we will increase it by another 10 per cent, making it 40 per cent of the homes can be sold to open market. “Next, out of the 40 per cent homes for open market, half of it we will allow non-Penang registered voters who work here to buy as opposed to before where we only allowed registered Penang voters,” he said at a press conference today. He also said that the affordable housing income gap criteria will be increased by RM2,000 for all the three criteria. Currently, household income of RM6,000 may buy affordable homes up to RM150,000, RM8,000 income for RM200,000 and RM10,000 income for homes priced at RM300,000. The new affordable housing income gap criteria will be RM8,000 to purchase homes up to RM150,000, RM10,000 income for RM200,000 and RM12,000 income for RM300,000. “One of the main reasons loans are rejected are the income limit, hence we decided to increase it by RM2,000. This can help first time home buyers,” he added. For foreigners interested to buy homes in Penang, the state government originally imposed a three per cent approval fee on top of the price of the house. For one month, Jagdeep said that the approval fee will be waived from February 1 for all high-end properties sold in the state.